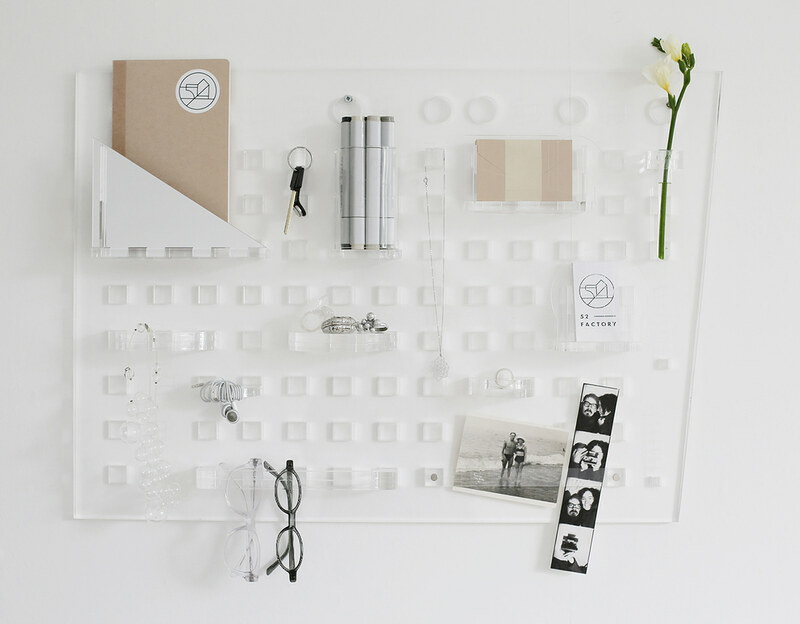 Customizable wall organizer of transparent acrylic glass, a tribute to the underappreciated and therefore invisible beauty of Russian avant-garde architecture. 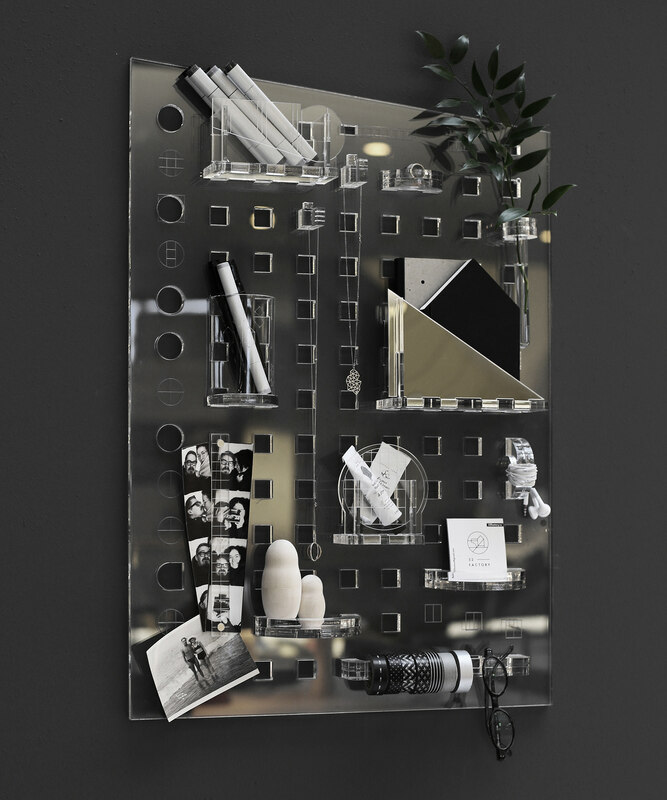 The set consists of 14 functional elements (bulb for а flower, ruler/magnetic holder for pictures, shelf with mirror surface, hooks, tape/glasses/jewelry holder, headphones holder, transforming system for small paraphernalia, etc. ), for which the shapes of window openings and other structural elements of 28 iconic avant-garde buildings designed by 47 architects (and built in 12 Russian cities) served the prototype. 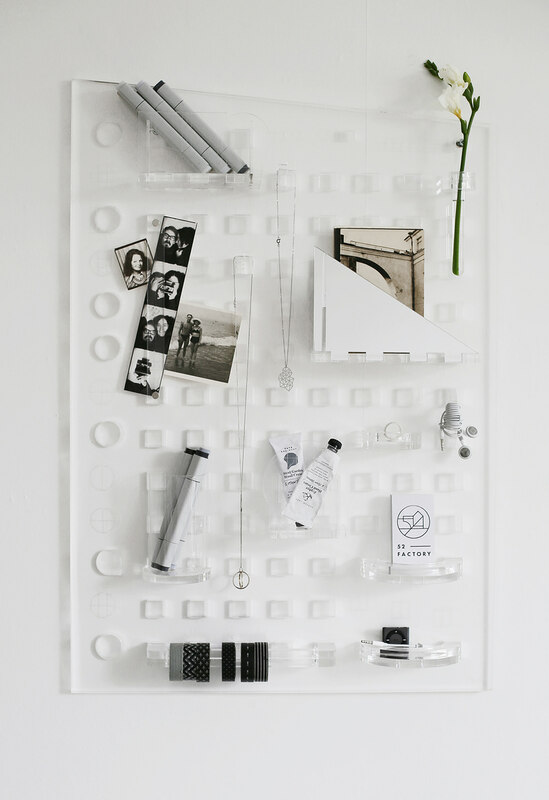 The modular design of the organizer allows every person to fantasize and create a unique piece to suit own needs.